The tagline for Glenn Ficarra and John Requa’s latest venture advises to “Never lose focus”. While this could be taken as a warning for its audience to pay full attention, paradoxically Focus doesn’t quite demand so much because it isn’t all that complex. But then again, maybe simplicity is the key to the perfect con. 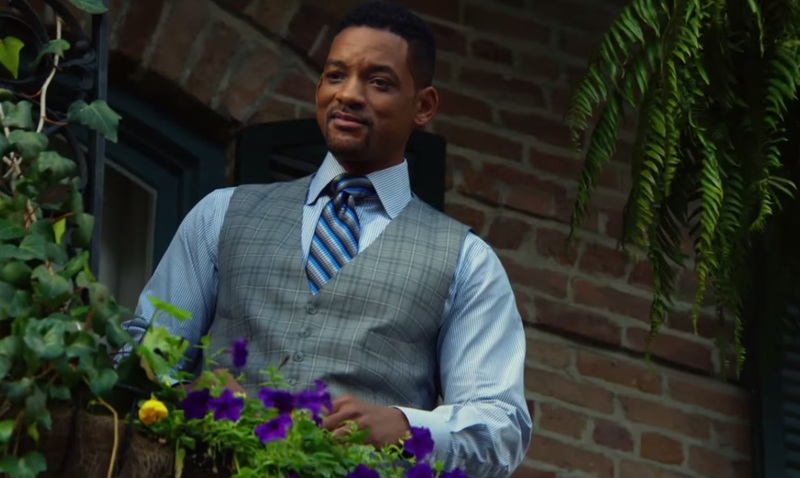 Nicky (Will Smith) is a veteran con man who takes amateur grifter Jessica (Margot Robbie) under his wing. He trains her, they fall in love, he realises deception and love don’t mix, they go their separate ways. Three years later, they meet again by chance during Nicky’s attempt at a major con, and his focus is put to the test. 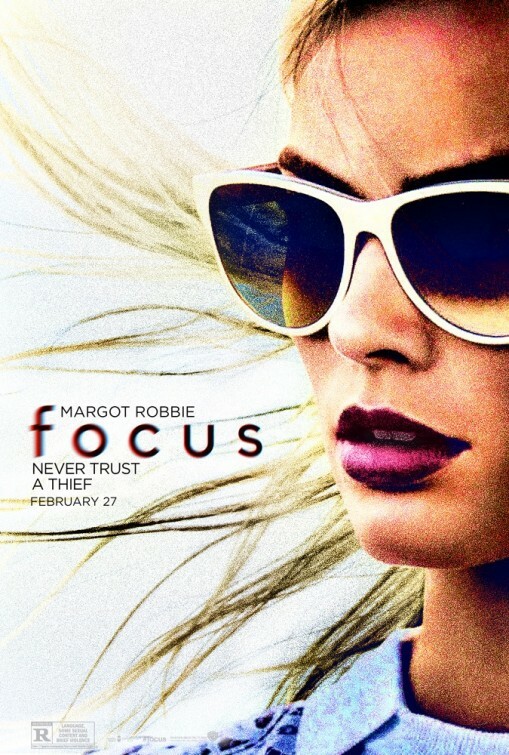 Focus is an ultra glamourous film – visually it is perfectly in synch with its cunning characters, who make their moves with an effortless flair, remaining utterly gorgeous for every second. The action shifts from L.A. to New Orleans to Buenos Aires (though it was all filmed in the US) and it remains glam all the way. Jessica’s hair is particularly mesmerising to the point of distraction – no doubt she could con through the power of her locks alone. The soundtrack oozes charm – it risks getting into some overdone, oversexed Marvin Gaye territory, but manages to retain just the right balance. Unfortunately, there is no dancing by Will Smith. If rumours are to be believed, Focus underwent repeated major casting changes before settling on Smith and Robbie. Initially Ficarra and Requa (co-directors and screenwriters) were to reunite Ryan Gosling and Emma Stone from their previous hit Crazy, Stupid, Love, before the two dropped out to make way for Ben Affleck and Kristen Stewart. For unknown reasons they too bailed. Though all strong actors, it’s difficult now to imagine anyone in these roles but Will Smith and OUR Margot Robbie. Smith is smooth and ultimately lovable in anything he’s in (sorry Ben, we can’t say the same about you) and though he’s perhaps best known for his comedic talents, he’s repeatedly proved he can just as well play it straight. Robbie is more than just a hot blonde with legs that go on forever. While it’s true her killer looks probably helped propel her from the set of Neighbours to Hollywood A-list, she is never short of convincing. Here’s hoping the type-casting ends soon so we can see her in all her glory. Robbie and Smith have chemistry (and let’s not get into THOSE rumours), but their relationship is underwritten. This is perhaps because the writers wanted to keep the audience guessing as to the nature of their true feelings, but considering how heavily Focus relies on this relationship, the film suffers somewhat as a result. While lust is certainly evident, there’s never any cause to believe they share genuine love, and yet this is what Ficarra and Requa seem to want us to believe. They get away with the age gap (22 years) but the entire notion of Nicky and Jessica truly having feelings for each other seems to be the real con. Even though it’s not meant to be. Lust – yes. Love – errrr? There are plenty of twists and turns throughout the film to keep the audience engaged and repeatedly second-guessing their own instincts. But while Focus does have some clever tricks up its sleeve, they don’t always pack a punch. The first half of the film pumps up the adrenalin with small doses of excitement (a series of pickpocketing scams here, a major gamble at a sports game there), but when it gets to the major play, the tricks have lost some of their charm. Thankfully, Robbie and Smith compensate by delivering it by the bucketload, even if their relationship lacks depth. If you’re susceptible to a good con, Focus may just pull one over on you. Smith and Robbie clearly have chemistry. But the movie they’re working with helps them get even closer and make us wonder more about them together, and apart. While also still being a fun flick. Nice review Claire.